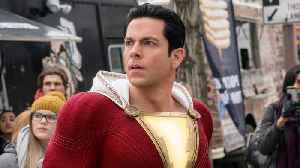 One News Page > Entertainment News > Captain Marvel Box Office Day 4 (India): Monday Blues? What’s That For One Of The Most Powerful Superheroes! 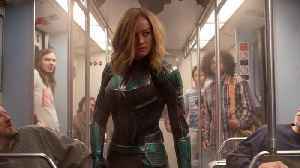 Captain Marvel Box Office Day 4 (India): Monday Blues? What’s That For One Of The Most Powerful Superheroes! The post Captain Marvel Box Office Day 4 (India): Monday Blues? What’s That For One Of The Most Powerful Superheroes! appeared first on Bollywood latest news. 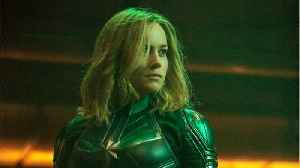 "Captain Marvel" smashed box office records by securing the #1 spot for highest-grossing opening of any film with a woman lead. 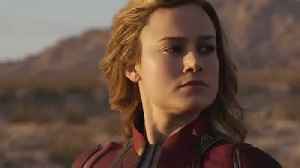 This video, "'Captain Marvel' Breaks Box Office Records Opening Weekend", first appeared on nowthisnews.com. 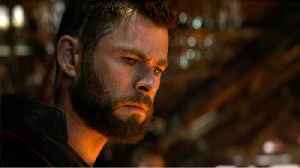 Avengers: Endgame is hitting theaters this week, but there's another Marvel Cinematic Universe film still making waves at the box office. 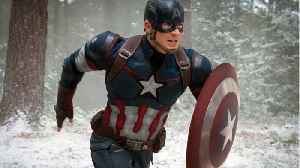 Captain Marvel, which was released back in March, has had a..
Comicbook.com reports 'Avengers: Endgame' is coming soon, and Captain America fans are in for a treat! Kicks on Fire has an update the N3XT L3V3L Captain America sneakers, part of Marvel and Adidas'..
“Avengers: Endgame” is expected to break multiple box office records next weekend, but for Disney and Marvel Studios, the blockbuster’s impact is already being seen on the last Marvel Cinematic..
Comicbook.com reports 'Shazam!' had a lot of scenes that didn't make the film's final cut. Editor Michel Aller revealed there might be up to 20 minutes of deleted scenes from the film. ...One of the.. Overall box office receipts this weekend are sluggish this weekend, which is shaping up to be the worst in nearly 15 years (since Miss Congeniality 2 took the top spot in 2005). There’s a fairly good..
Comicbook.com reports 'Avengers: Endgame' will not be the end of Marvel’s “Phase Three” after all. The upcoming Spider-Man sequel, which takes place before Endgame, will be the final phase 3..
Kalank Box Office Day 1 Morning Occupancy: Biggest Of The Year; Beats Total Dhamaal & Kesari!